This diagram shows a basic storyboard layout for a business card CD-ROM style presentation. ’please send us a proposal’ no longer trigger a sense of dread at having to stare at a blank page and create something professional and persuasive. The samples alone are amazing! This is a wonderful tool for anyone needing to write cogent and cohesive proposals." This CD-ROM Sample Design Diagram is included in an editable format that can be customized for your own needs. How do you write a CD-ROM Sample Design Diagram document? 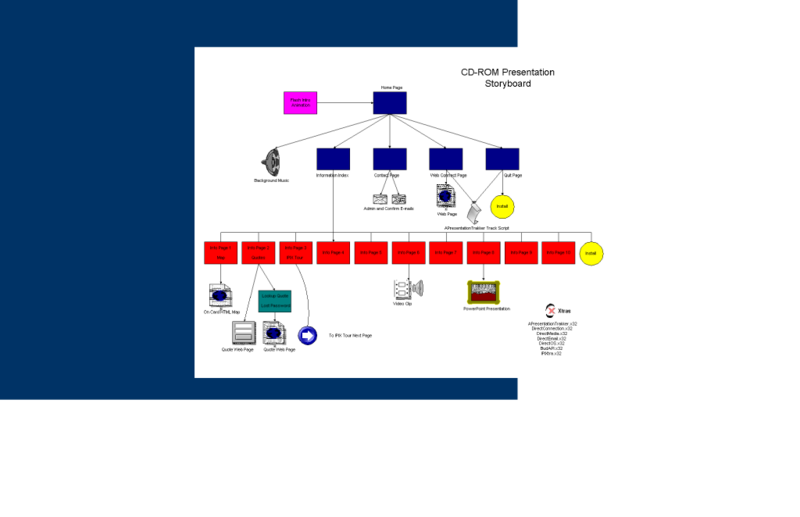 The editable CD-ROM Sample Design Diagram document - complete with the actual formatting and layout is available in the retail Proposal Kit Professional.